This was originally part of Château Lamothe, which was classified as a 2ème Cru Classé in 1855. 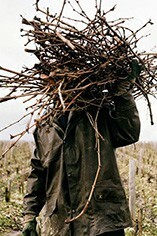 The estate was split up in the early 20th century and the vineyards fell into disrepair until the property was purchased by Philippe and Jacques Guignard in 1981. They replanted much of the vineyards as well as completely renovating the buildings at Lamothe-Guignard and installing new winemaking equipment and facilities. There are 17 hectares of vineyards planted with 90% Sémillon, 5% Sauvignon Blanc and 5% Muscadelle. The grapes are harvested in several tries and are then fermented in a mixture of small vats and oak barrels. The wine is then matured in oak barriques (25% new) for 12-15 months. Since 1981 the quality of the wines has dramatically improved and they now represent terrific value for money.